Exciting new research findings link tea and cognitive decline, suggesting that the regular consumption of green tea may help protect against illnesses like dementia and Parkinson's disease. In order to fully understand how green tea has been found to benefit mental functioning, it's first important to understand cognitive decline. 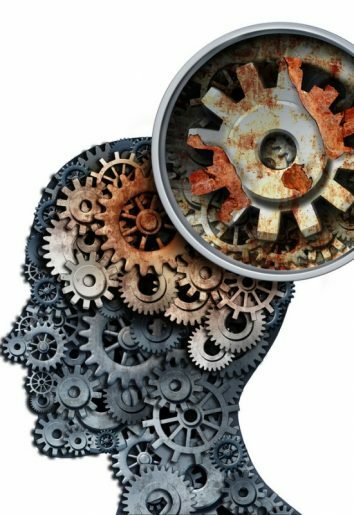 Cognitive decline describes a process whereby thoughts become more difficult to process, leading to memory loss, difficulty making decisions, inability to concentrate and difficulty learning. Cognitive decline usually occurs naturally as we age, but the term also encompasses neurocognitive disorders like Parkinson's disease and Alzheimer's disease and other illnesses or acquired injuries that affect the functioning of the brain. While these conditions are more prevalent in seniors, people of any age group can experience cognitive decline. A neurocognitive disorder develops when the nervous system and the brain no longer communicate effectively. This can happen as a result of trauma to the brain or substance abuse, or it can be the result of the degrading of the central nervous system over time. When symptoms of cognitive decline are present, today's tests help healthcare providers determine the exact cause as well as the specific disorder related to the symptoms. This aids in deciding as to the best course of treatment in each case. The prognosis for someone with cognitive decline often depends on its cause. In some cases where the condition is caused by substance abuse or head trauma, it may only be temporary. However, for seniors who develop cognitive decline gradually over time, there's often no way to reverse the condition. For these individuals, doctors prescribe drugs and recommend lifestyle changes that can help stall the worsening of the symptoms, though the process as a whole can't be cured or stopped altogether. Of course, advanced age also contributes to the likelihood that you will experience cognitive decline. Those over the age of 60 are far more likely to develop cognitive decline than others. While research is ongoing, there is some early evidence that suggests diet plays a role in how likely we are to suffer from cognitive decline. In particular, drinking green tea may play a large part in mitigating risk. In a study conducted in Singapore, researchers examined the tea-drinking habits of 957 subjects, aged 55 and older. In particular, researchers looked at tea consumption from 2003 through 2005 and subjects were examined for neurocognitive disorders from 2006 through 2010 to determine if there was a correlation. The researchers used regression models that accounted for other factors that might interfere with the study's results. While the study uncovered 72 cases of neurocognitive disorders, the overall assessment concluded that drinking tea did have a positive effect on cognitive decline. 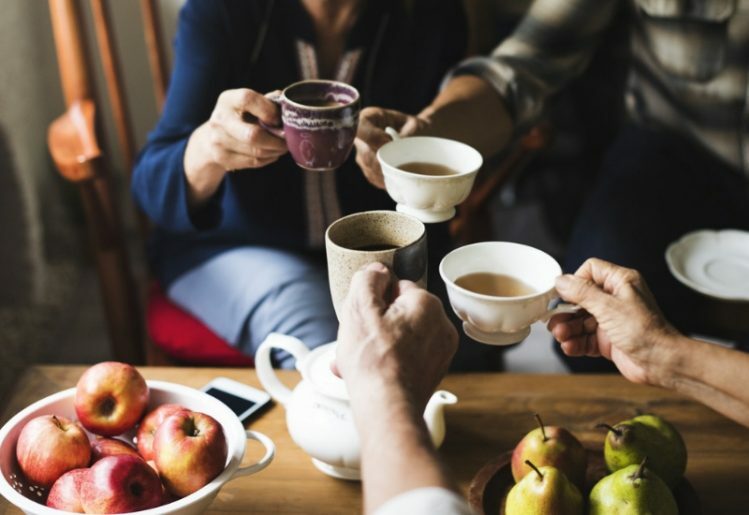 When compared to individuals who did not regularly consume green or black tea, the tea drinkers exhibited a reduced risk of developing cognitive decline. The researchers also found that female tea drinkers exhibited a greater reduction in risk of neurocognitive disorders than male tea drinkers. In another study, conducted by researchers from the Nakajima Project, the tea consumption of 2,845 seniors, aged 60 and older, was examined. The information gathered was amassed as a part of a free physical exam opportunity offered to residents of Nakajima. The exams were exhaustive, including questionnaires about lifestyle and dietary habits as well as including neurological and physical testing. One part of the survey asked participants to estimate their consumption of green tea, black tea and coffee as either none, one to six times a week or every day. A follow-up brain function test was offered later in the 2007-2008 season, but only 982 of the original subjects chose to participate. Of the 982 potential subjects, 492 subjects were excluded for various reasons, including the development of dementia, failure to complete the initial survey, relocation to an area outside of the community and death. Of the 490 remaining eligible test subjects, the consumption of green tea, black tea and coffee was compared to the future development of cognitive decline. The results found that drinking black coffee and black tea had little to no effect on the risks of developing neurocognitive disorders. However, a reduced incidence of cognitive decline in those who regularly consumed green tea confirmed an interrelationship. Those who drank green tea moderately and consistently exhibited a marked reduction in the risk of developing dementia and other forms of cognitive decline. All in all, studies confirm that consuming green tea on a regular basis may have a positive effect on cognitive strength over time. As more research looks into the effects of tea drinking on neurocognitive disorders, the emphasis may be on how black tea and green tea affect the various functions of the brain. While this may lead to more effective treatment for senior cognitive decline, the vast health benefits that tea drinking provides in general is a good reason to add a dose of green tea to your daily routine.